August, 2016 | Roland Dumont Agency, Inc.
Be extra vigilant in school zones and residential neighborhoods, especially near bus stops, playgrounds, and parks. Leave enough time to get your destination, so you won’t be tempted to speed. Never pass a bus from behind – or from either direction if you’re on an undivided road – if it’s stopped to load or unload children. Be alert; children are often unpredictable, and they tend to ignore hazards and take risks. Be aware of inexperienced teen drivers who may struggle with judging gaps in traffic, driving the right speed for conditions, and turning safely. Avoid distractions such as eating, putting on makeup, or using your phone for texting, talking, or apps such as Pokémon Go. Acknowledge and encourage staff members who are willing to share ideas or experiences about how they exercised a little extra care and caution on the road. Talk to your children about being aware of their surroundings (no walking while wearing headphones or while texting or talking), crossing only at cross walks, always walking on sidewalks when possible, and looking left, right, then left again before crossing the street. Though many of us have probably heard or shared these tips before, I like to live by the motto that it’s always better to be safe than sorry. Let’s join together in promoting a safe and accident-free school year. After all, nothing is more important than you, your family, and your staff making it home safely each day. For more information or resources regarding this topic, please contact your loss control representative. “Slow Down: Back to School Means Sharing the Road.” Back to School Safety Tips for Drivers. National Safety Council, n.d. Web. 22 Aug. 2016. 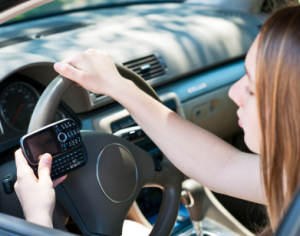 “A Teen’s Biggest Safety Threat Is Sitting on the Driveway.” Teen Driving. National Safety Council, n.d. Web. 22 Aug. 2016. I am an animal lover, but dogs are my personal favorite. They are great company and it’s in their nature to seek your approval and love. Dogs are said to be “man’s best friend”, but have you ever thought about how your insurance could be affected by the type of dog you decide to own? An insurer has the right to non-renew or even refuse to write your homeowner’s policy based on the breed of dog you own. There are specific breeds of dogs that have a negative connotation due to their aggressive reputation. Breeds such as Pit-bulls and Rottweilers have been known to attack, resulting in extensive injuries or even fatalities. In turn, hefty insurance claims are filed and paid. 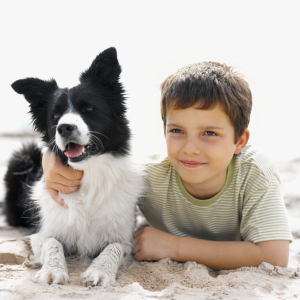 Before deciding on a dog breed, check with your insurance agency to see which dogs your carrier will agree to write. There may be a surcharge based on the breed. And while choosing an eligible breed means your insurance company will write your coverage, as a dog owner you are potentially at a higher risk for a liability claim as the majority of states impose some level of strict liability if your dog were to bite or attack another person. Strict liability means that dog owners are liable for injuries their dogs inflict regardless of whether the owner was at fault, negligent, or even had any prior knowledge of the dog’s vicious propensities. However, there are exceptions to strict liability in some states for dogs that are provoked by the victim (i.e. purposefully goaded into attack). Strict liability laws may differ by state so be sure to consult with your independent agent. So what can you do to protect you and your family from a potential liability claim? Always keep your dog leashed when walking—it doesn’t matter how well-behaved your dog is, when walking it’s important to leash your dog and keep them close to you at all times to avoid possible exposures. Never let a stranger pet your dog—Even if your dog is friendly and loves people, what if the person makes him feel threatened? Your dog may act aggressively towards them and inflict harm. Keep your dogs leashed or fenced when letting them outside—it’s okay to give them some freedom, but what if they see a squirrel or rabbit? Most dogs have an instinct to chase other animals. In the process, they could cause a car accident by darting across the road, run into someone causing them to fall, or cause other property damage. Treat and train them properly—as a dog owner, you have an implicit responsibility to treat your dog well and train them. Dogs that are treated poorly tend to act out towards others more often. A well-cared for and well-trained dog is more likely to listen and not cause harm. Purchase a Personal Umbrella Policy—in the event of a claim caused by the actions of your dog, the financial burden could exceed your policy limits depending on the extent of the injuries. An umbrella policy may cover you above and beyond the underlying limits of your primary homeowners policy and help protect you from a large out-of-pocket expense. Avoid barking up the wrong tree when choosing a breed of dog! Talk to your independent agent today to ensure you have the proper coverage in place.